Exotic plant invasion is a growing concern in the conservation and management of indigenous arid land ecosystems. By creating areas of ameliorated microclimates and fertile soil below their canopies, perennial plants might influence exotic annual plant invasions. We conducted a quantitative literature review of studies that compared exotic annual plant abundance among native perennial plant species and interspace (open areas) microsites in North America’s Mojave Desert, where exotic plant invasion has corresponded with increasing extent of wildfire and broad-scale ecosystem transformation. 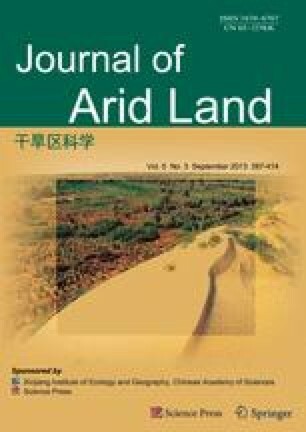 Ten studies compared exotic annual plant abundance between interspaces and below a total of 36 native perennial species. These studies revealed that: (1) With few exceptions, most native perennial species supported a greater abundance of exotic annuals than interspaces, indicating overall facilitation of exotic species by native perennials. (2) Exotic species abundance varied by orders of magnitude among native perennial species, with some perennial species harboring amounts of exotics similar to interspaces. (3) Distributions of dominant exotic species varied, where Bromus rubens displayed a greater affinity for below-perennial microsites than did Schismus spp. and Erodium cicutarium that often were most abundant in interspaces. Results suggest that the degree of facilitation of exotic plants warrants consideration when selecting native perennial species for revegetation and restoration projects.